Is this the line-up for an upcoming episode of an Australian reality cooking show? It could be, but no. 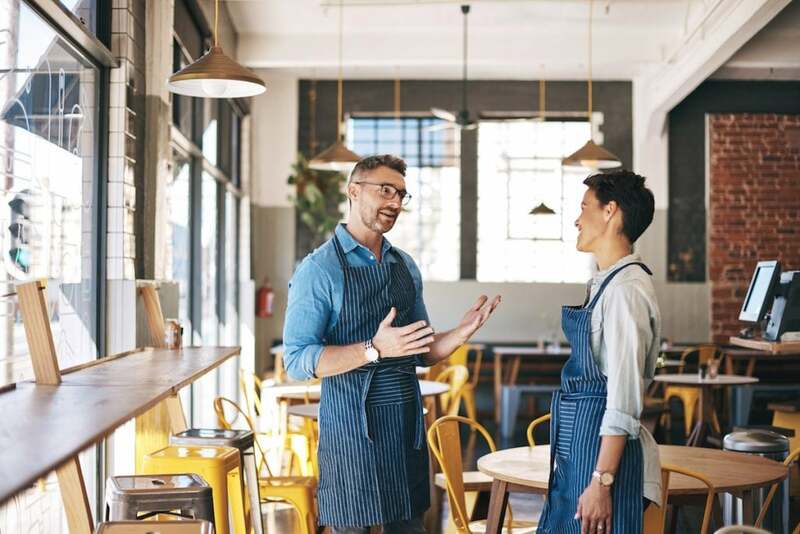 The headlines recently have been filled with a number of very high profile employers – particularly in the hospitality industry (see above) – accused of underpaying and overworking staff in their restaurants. In some instances, allegedly owing hundreds of thousands of dollars in unpaid wages. For the most part, employers plod along presuming that the rates they are paying their staff are at the very least above the minimum wage. But, just because you are paying your employees more than $18.93 per hour (or $37,405 a year), doesn’t mean they are not being paid less than what they are entitled to. While I can’t speak personally for George, Neil or Shannon, I would think that they, like most employers, were not intentionally underpaying their staff if it is in fact found that their employees were being underpaid (at the time of this publication the matters are still before the courts). It is much more likely that they were operating on an assumption (ie someone within the organisation had told them so) that the rates they were paying staff for the hours they were working were appropriate and above the minimum requirements. This is an easy trap to fall into, but one that can be avoided by following some simple steps, which I set out below. Knowing which Award actually covers your employees is the first step. While this is sometimes obvious and straight forward, often where the tasks and responsibilities of a particular employee fall, is not clear cut. It is also possible to have employees working for a single employer that are covered by various awards. Each of the modern awards (available on the Fair Work Commission website) has a section entitled ‘Coverage’ which describes the work undertaken by employees covered by that award. Often, reading through this descriptor may be a process of elimination. This can be a bit confusing depending on what industry you are working in, but is an important first step. Unless your employees are currently earning more than $142,000 per year (plus and minus a number of exclusions) you can just about be guaranteed that they will fit within an Award somewhere. It’s just a matter of working out which one. Once you have established which Award is relevant to the employee’s duties, you will need to work out which level of classification they fit into best. While in the majority of cases there may not be a clear ‘fit’, the best way to go about this is to look at the employee’s position description (if one exists) and match this with the description provided within each classification. If a position description does not exist for the employee’s position, besides a recommendation that one be drafted, it would be a good idea to list (possibly with the employee’s input) all the duties and responsibilities that make up the employee’s position. Once this is established, you will need to match this against the classification levels outlined in the Award. This classification level will then correlate with a pay rate within the Award. When considering the employee’s hours of work, (eg if they work overtime, work more than 10 hours in one day, or outside the ordinary span of hours) and other matters (eg any relevant allowances or penalties), you will be able to make a calculation regarding their level of pay. If the rate being paid to the employee is higher than they would be entitled to under the Award, it is likely that their pay rate is appropriate. If it is lower, or close to the same, the rate will likely need closer examination. If an employee is on a yearly salary, it is important to still undertake this process. If an employee is provided with a car or mobile phone as part of their salary package, this will also need to be considered in the calculation. Also, their salary alone may not preclude them from coverage by an Award, the principle purpose of their position is what needs to be considered. This can be a fairly complicated consideration and calculation, and it would certainly be suggested to have the numbers checked by your accountant, or alternatively have an audit process undertaken to ensure that no underpayments have occurred, either currently or in the past. It is possible for an employee to bring a claim of underpayment against their employer for the previous six years from the date of their application, so it is important to know what the status was going back that far. It is recommended that this audit process be undertaken on a fairly regular basis, particularly given the annual increase in the minimum wage and subsequent increases in the Award rates. Click here for more information about a HR Health Check for your business.